Let’s be honest: digital transformation is no easy task. Evaluating and reconfiguring established processes and procedures is a serious undertaking, and the allure of “business as usual” can be strong—especially when trying to overcome a conservative organizational culture or a “one campaign at a time” mentality. But doing nothing is not an option. Here’s why. What does digital transformation mean? And why is it so important? ​Data and information management is the foundation from which digital transformation is made possible. Digital transformation is a broad, catch-all term, encompassing just about any initiative to use digital technology to improve business processes and activities to better meet the needs of today’s consumers and the bottom line. It means different things to different organizations. A financial institution using machine learning to detect and predict fraudulent transactions? Digital transformation. An e-commerce retailer searching for new and innovative ways to serve personalized recommendations to customers? That too. And while digital transformation can serve different ends, we believe every digital initiative starts with modernizing data and information management. After all, how can you effectively digitally transform high-value, customer-centric operations when your basic, everyday workflows are still reliant on manual, paper-based processes or your ability to draw insights from data is hindered by outdated and comparatively inaccessible means of storage? Research backs up this belief. 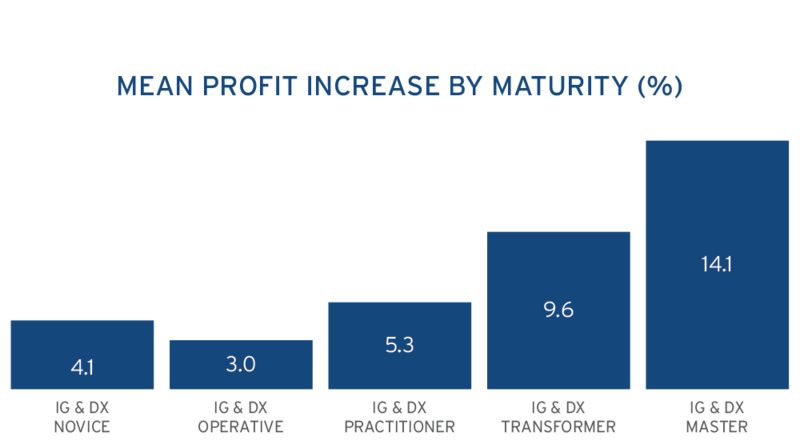 According to IDC1, investment in digital transformation and information governance leads directly to better financial results. This guide is intended to help you develop a strategy to modernize your data and information management processes and procedures in order to fuel digital transformation. The tasks are ordered from the small—things you can get started on as soon as you wish—to the big—those initiatives that may require cross-functional support and executive buy-in. By the end, you should have an idea of where your resources, in both staff and budget, should be allocated. You’re in no way obligated to follow in this order; they merely serve as a recommendation. You’re free to jump from step to step, choosing what works for your organization. Our goal is to help you lay the foundation for your digital transformation—no matter where on that journey you may be. The costs of paper extend far beyond the price of a few reams. A recent study estimates that associated paper costs (storage, copying, printing, etc.) could be as much as 31 times the initial purchase cost. So, for instance, a ream of paper bought for $5 could, in actuality, cost close to $1552 . While hackers steal headlines, the majority of information loss is due to breakdowns in processes and procedures, such as employees losing files or documents that contain sensitive information3 . With the average large organization misplacing a single file every 12 seconds, it’s not hard to see how easy it is for things to go wrong. Consider this in the face of the European Union’s General Data Protection Regulation (GDPR*). Violations are punished by legal action and penalties of up to €20 million or 4% of global turnover—whichever is higher—per infraction. And mind you, an infraction can be as minor as an employee losing a single piece of paper containing personally identifiable information. First, dependency on paper and, by extension, manual processes and procedures means more time managing files and performing various administrative tasks and less time focusing on strategic, high-value initiatives. Second, as each year more and more of your business is conducted digitally, the continued use of paper creates a hybrid physical/digital information landscape, which is difficult to manage, duplicates efforts and increases business risk. *Though GDPR is European Union legislation, it is applicable to any firm that has personally identifiable information of any EU resident. OK, so how do I handle paper in the office? Before beginning any type of digital transformation, you must have a complete understanding of the records and information you possess. This can be achieved by conducting a thorough information audit. Yes, combing through every last filing cabinet and storage closet may seem daunting, but the payoff—enabling digital transformation—far exceeds the investment. There’s a tendency, especially among mid-level businesses, to keep paper records indefinitely; the logic being you’ll never know what you may need. But while that mentality may be tempting, it’s also potentially damaging. Cost: The more you store, the more you pay. Compliance: With more to keep track of, there’s an increased likelihood of data loss and industry, privacy and regulatory violations. Speed: The average employee spends 25%4 of their week filing, copying, indexing or retrieving documents. Why waste so much time? Those paper records that remain integral to your business operations can be converted into digital formats. Originals can be either stored or destroyed, depending on your needs and obligations. centralizing your information in an electronic repository for easy access and sharing. You have a few options when choosing to digitize: convert your entire backlog, convert on an as-needed basis or convert only new records and information. Each, as you’d imagine, has their respective benefits and drawbacks. Converting your entire backlog all at once puts you in the fast lane for digital transformation—but it’s a labor-intensive process. The best approach is to categorize and prioritize your files into smaller conversion projects—for instance, by department—and convert when convenient. This is known as Backfile Conversion. Image on-demand is the process of digitizing individual documents as needed. It’s a great way reduce the upfront burden of going digital, but runs the risk of not having a digital copy of a record immediately available; a problem that could rear its head during the search and discovery phase of litigation, for example. Day Forward and Digital Mailroom digitizing scans, indexes and converts new paper documents when they are produced or received in the normal course of business. Typically used in conjunction with Backfile or Image-on-demand solutions, it can be performed separately should converting legacy documents not be a top priority. The use of paper is actually increasing in a staggering one third (32%) of business. Three quarters (77%) of invoices that arrive in PDF format get printed. Only a little less than half (45%) of paper documents scanned by businesses were created digitally. Could this change over the next couple of decades as we further into the digital age? Sure. But for now, even after destroying and digitizing, you’ll be left with more than your fair share of physical documents. How you store them depends largely on your digital transformation goals. Onsite storage is beneficial in that your records are never all that far away. Calling up a needed record could be as simple as walking into the room next door and thumbing through a filing cabinet. And depending on how much inventory you have, onsite storage can be cheaper than moving it offsite; though, unless you’re business is particularly small, the costs of staff and use of real estate for non-productive purposes can quickly offset any potential savings. Offsite storage can improve access to information. Using a partner that can guide you in properly labelling, indexing and storing records can lead to faster access times than if they were stored in filing cabinets in a backroom or in unmarked boxes. Of course, there are other benefits to offsite storage not directly related to digital transformation, including improved security and compliance as well as increased protection from man-made and natural disasters. If you’re interested in learning more, click on the below resources. Your organization’s Records Retention Schedule is the source for determining when you are able to destroy records based on legal, regulatory and operational requirements. If you don't have one--don't panic. We'll discuss creating a Records Retention Schedule later in this chapter. Metadata is data about data. It tells what the content is and the characteristics it possesses. Metadata consists of properties, such as Record Owner, Document Type, Dates, Legal Holds and associated values (e.g., John Doe, project plan). Metadata is indispensable for purposes of locating records, data and information, establishing ownership, applying legal holds and identifying records that have fulfilled their retention period and are therefore eligible for destruction. It can also be used to determine who has authority to view and edit records. Metadata is critically important in legal, audit, compliance or regulatory activities because it helps demonstrate the authenticity and reliability of the requested information. Metadata is increasingly vital to successful data analytics, a key component of digital transformation. If high-value information is tagged as such, it facilitates an organization’s ability to mine it for business value. Without metadata to provide context to information (including its authenticity), organizations store record simply for storages’ sake, making it difficult to cut through extraneous noise. It is important to establish a set of universally required metadata elements applicable to all records. The development and approval of a metadata standard is a collaborative exercise, requiring input from IT, Legal, Compliance, Enterprise Data Management or Data Governance, Privacy, Information Security, Audit and Records and Information Management (RIM) or others, depending on your organization, and any alternate naming schemes that exist across departments should be standardized to enable consistency. You can identify additional markers to supplement baselines standards for different business units, record types, location, security, retention periods (more on that in the next section), etc., if needed, but keep in mind, an overly subdivided system can undermine the goal of making locating and retrieving records easier. 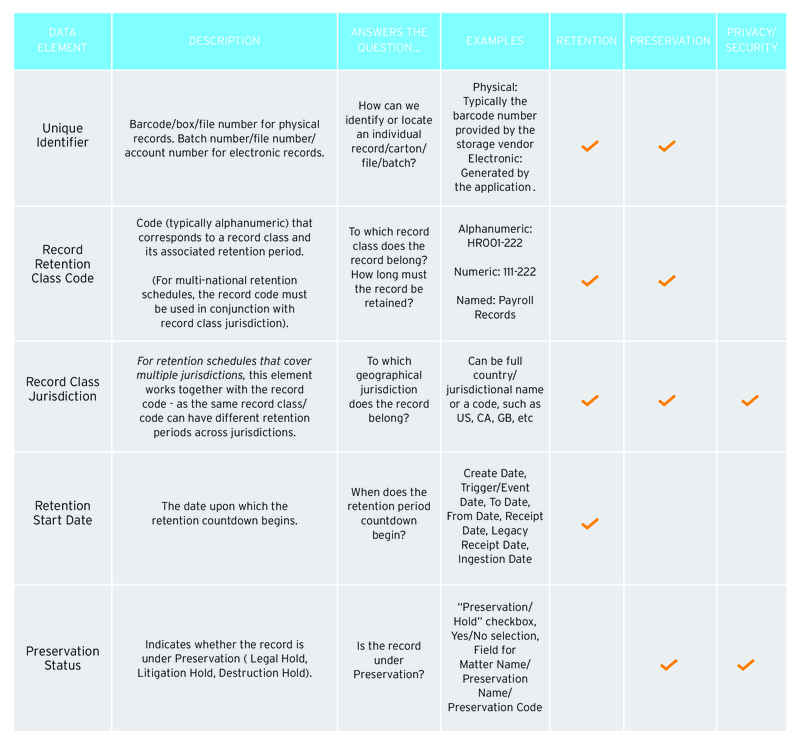 As you can see, together, the five standardized identifiers on the left most column form to provide information on when a recorded was created, how long should it be stored, what laws are applicable to the record and, most importantly, where it’s located. Take advantage of parent/ child relationships by applying metadata at a higher level (e.g., record class) and enable inheritance by lower level records. Use employee roles such as organizational unit or job function to apply metadata based on the type of records he or she creates and receives. 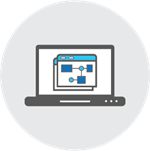 Leverage business process workflows to apply metadata as the record moves through a repeatable process. System rules should specify which, if any, metadata fields may be altered by someone or some application other than the creator. Once the metadata standard is in place, it should be a mandatory requirement for all applicable current and future information management systems and applications. In general, metadata should be frozen (i.e., cannot be edited by end users) once a record is declared, but it may be editable by administrators and applications in some cases. When digital records reach the end of their retention period and are purged, a limited amount of metadata should be captured with a metadata stub retained as a record. The metadata standard should include specific direction regarding which metadata elements are retained in the stub of a purged record. Provide instructions when a record is sent outside of your organization that contains metadata and other hidden fields. For example, if the text of a record itself does not include Personally Identifiable Information (PII) but its metadata does contain PII, that record should be protected as PII. Outline a systematic destruction process that names the roles required to approve of the destruction of information. Following a thorough audit of your records AND the removal and digitizing of legacy paper records, the last thing you need is to repeat the process. Five, ten, fifteen years from now, you don’t want to find yourself in a similar position, stuck in an unmanageable hybrid digital/physical state without a complete grasp on what you possess. A Records Retention Schedule is a policy document that defines an organization's legal, operational and compliance recordkeeping requirements, guiding employees to keep records as long as legally and operationally required and dispose of obsolete ones in a systematic and controlled manner. How you execute upon a Records Retention Schedule is a matter of choice. You can opt to manually track and record your records (in an Excel document, for example) and then disseminate policy as-needed via email and/or memos. You can chose to use a third-party platform that automates the more laborious processes. Or you can attach rules to applications or actual records using metadata. What works depends entirely on your needs and to what degree you wish to include automation as part of your digital transformation efforts. 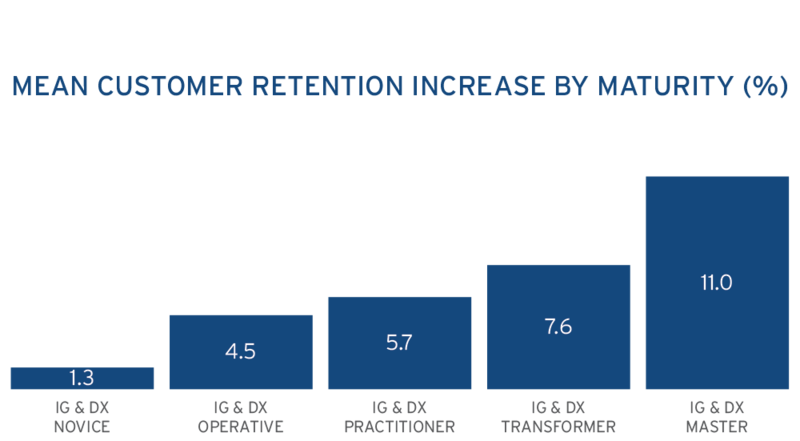 One final note: To be clear, a Records Retention Schedule is not, in the strictest sense, necessary for digital transformation. 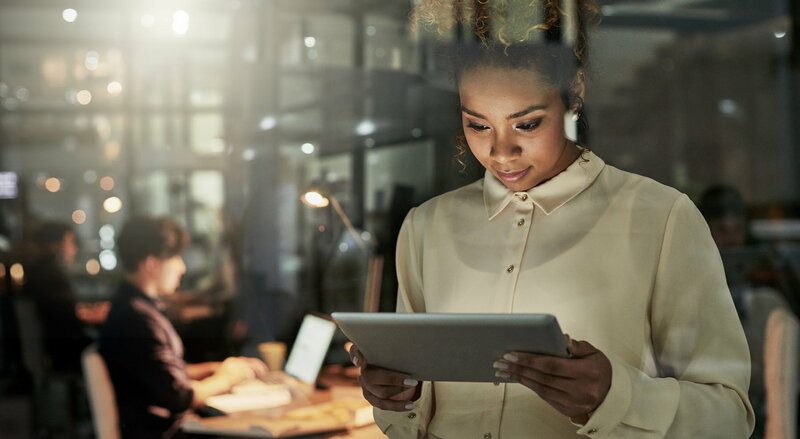 Rather it’s intended to ensure your digital transformation journey remains on track and compliant—both now and in the future. Consider it a blueprint. How does removing, digitizing and storing paper get me closer to digital transformation? It does so in two ways. The first is obvious. No high-level digital transformation—be it from machine learning to price optimization—can ever be fully complete when the information needed to feed decisions is stored in non-digital records. Or put simply, digital maturation is only possible by moving beyond business at the speed of paper. Two, the removal of paper is a prerequisite to automation—a key component to any digital transformation. We'll cover automation in Chapter 2. With digitizing complete, it’s possible to automate those processes that once involved a significant amount of manual, paper-based tedium. This is especially relevant to the parts of the business that must manage a large number of records, such as Human Resources, Accounts Payable and Receivable and Contract Management. To illustrate the benefits of automation as it relates to digital transformation, we’ll use Human Resources as an example. Even with the removal and digitization of paper, it’s still time-consuming and difficult to ensure all those newly digital records (sometimes hundreds per employee) are stored and accounted for, are routed to and seen by the appropriate stakeholders and delays in processes and any missing documents are noticed and rectified. Just ask yourself: How many times has an important emailed attachment you’ve sent gone for days or weeks without acknowledgement? And these same problems can be extended from HR to virtually every other department. How often have financial closes been delayed? Or deals with vendors bogged down by unnecessary red tape? From department to department, breakdowns in the management of records and information force employees to waste time chasing down solutions to otherwise avoidable problems. It’s unnecessary and runs counter to the goal of digital transformation—becoming faster, more efficient and adaptable to today’s digital age. Automating provides employees with preassigned activities and the necessary documentation from the get-go for any new task (e.g. onboarding), thereby eliminating the need to figure out the next required steps, rely on spreadsheets or track down documents. Dashboards provide insight into the status of people, processes and systems and facilitates fast and easy collaboration between coworkers. According to IDC, automating workflows can lead to a more than 30% reduction in time spent on document-intensive processes, 30–40% reduction in errors and 25–30% increase in productivity, depending on the specific functional area and process6. How does automating back-office workflows get me closer to digital transformation? Automating rote administrative tasks eliminates bottlenecks that slowdown initiatives, making your business faster, leaner and more agile. Employees to spend their time focusing on strategic, high-value campaigns, rather than being hamstrung by little more than busy work. IDC found that workflow automation leads to a 30–40% reduction of careless errors in routine workflows. To this point, we’ve discussed reassessing the way you manage physical records. But what about information born digitally? Or paper records that have been imaged and become digital? Though it may be easier to handle than paper, the reality is not all data can—and should be—treated equally. The way you choose to store data has a profound impact on digital transformation. A data lifecycle management strategy is about creating and executing a plan to protect, preserve and manage digital data at each stage of its lifecycle, from creation through destruction as informed by a Records Retention Schedule. This includes making strategic storage decisions to fuel digital transformation. Again, it must be noted that establishing a data lifecycle management strategy is no small feat. Combing through your complete data inventory and tagging and classifying all of it requires significant investment and can be enough to dissuade many from fully pursuing digital transformation. But it’s precisely this type of legwork that makes the difference when it comes to meeting the needs of today’s consumers and regulators. Why a data lifecycle management strategy? New data is constantly being created in multiple formats and added alongside older data. Extracting valuable insights from it—a key component of digital transformation—depends on having easy and reliable access. At the same time, the value of data changes. Your enterprise doesn't need all of its data all the time, but a lawsuit, audit, request to “be forgotten” or other sudden events can make quick retrieval necessary. For digital transformation to work, you must find the most efficient way to classify, manage and store different data types. For example, more immediately needed data might be best suited for onsite or cloud storage; whereas older, keep-it-just-in-case data can be stored in less-expensive, tape archives. There’s no right answer; it depends on your organization’s needs and budget. The key is to develop a strategy to optimize your data in order to best fuel your digital transformation goals. We’ll cover data types and storage options a little later. But first, we’ll examine data lifecycle management strategy in greater detail. 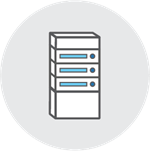 Manage and control costs: You’re creating huge amounts of data that must be securely stored, accessed, backed up, replicated, archived and, eventually, properly destroyed. A data lifecycle management plan incorporates a wide range of technologies (all with varying costs) – including on-premises storage, storage tiering, cloud storage and offsite tape backup (more on all of these later) – to keep expenses manageable despite this tremendous expansion of capacity. Improve availability to meet service level agreements (SLAs) for the business: In a digital business, everything relies on IT. Any amount of downtime is unacceptable. In today’s environment, the average cost of downtime is $16 million a year7. A data lifecycle management plan will incorporate the need for greater uptime and deploy a variety of solutions to help organizations lower recovery time objectives (RTOs) and recovery point objectives (RPOs). Drive innovation: Digital transformation involves reinventing business processes. Using best practices in data management enables organizations to drive innovation through initiatives such as big data analytics, mobility and the Internet of Things. Each organization will embrace digital transformation at its own pace, and therefore, not every data lifecycle management plan will be the same. But there are some general guidelines to follow. To what extent is the business embracing digital transformation, including extracting value from data[ST1] ? What are the current gaps in data storage and management? Is there critical information isolated in silos? Is data being properly tagged and created at the point of creation? What is the budget for data storage, including backup, archiving and replication, and will that budget shrink, grow or remain flat? This is by no means an exhaustive list of the questions that should be asked, but it gives a sense of the processes behind strategy building. Depending on the size of your organization, you may be able to answer these questions yourself, or you may need to seek outside help. 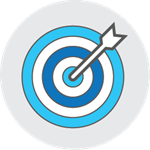 Once you’ve set your goals and built the framework of a data lifecycle management strategy, the next step is to execute that strategy. Stage One: Store active data locally and on a network server while also backing it up to local storage appliances or cloud storage. Stage Two: As data ages, move it from primary storage into less costly off-site tape vaults or cloud. 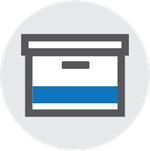 Stage Three: Retain your older, inactive data in case of a legal, regulatory or audit event in off-site tape archives that offer high security, quick access and lower storage costs. Stage Four: Adhere to federal, state and industry regulations for destruction. Regaining access to data from obsolete or unused storage mediums. OK, how do I locate all my data and ensure it remains accessible? You’re probably thinking: A data lifecycle management strategy sounds great in theory, but how do I corral my company’s data in order to ensure I’m effectively classifying, managing and storing all of it. The majority of your data is probably relatively accessible. But chances are you’ve also been storing data for years—if not decades—across different systems and technologies. Maybe, for instance, you have old data stashed on 3.5-inch floppy disks, and you can’t get to the information when it’s most needed without specialized equipment. Or maybe all your information is contained within electronic formats but stored in disjointed systems spread across the enterprise—saved on local servers, backed up to the cloud, and/or archived in offsite tape vaults, etc. For a data lifecycle management strategy to be both holistic and effective, your organization’s IT staff must prioritize the restoration and migration of that data away from disparate and legacy environments (e.g., floppy disks) and towards more readily accessible storage media. Why? Remember complete digital transformation—especially those initiatives predicated upon advanced data analytics—depends on getting the most out of all your data. Quite simply, digital maturity is impossible if you have unknown data stored on outmoded equipment. Keep in mind though, data retrieval requests can overwhelm many IT departments, as large-scale data migration and retrieval processes require considerable resources and bandwidth. Pulling IT staff away from their day-to-day actives could invite unintended risks. Overworked and understaffed IT departments are often cited as factor8 in companies falling victim to vicious attacks like ransomware, for example. Of all the steps towards digital transformation we’ve mentioned thus far, digital restoration and migration warrants consideration for outsourcing the most. Restoring data from legacy systems and migrating them to more accessible storage options is a massive and risky ask of most IT departments—but nevertheless crucially important to digital transformation. Additionally, the benefits of outsourcing are not limited to faster and safer data restoration. Because you’re outsourcing with a third-party data management provider, you’ll never have worry about future technology obsoleting today’s storage mediums. Any provider worth its salt will always keep your data easily and readably available on whatever platform the future may hold. The purpose of this section is to highlight how certain means of data storage (or a combination thereof) make data retrieval and analysis faster and easier. That is essential to high-level digital transformation. We’d be remiss, however, if we didn’t mention an additional benefit that may not directly impact your digital transformation goals—namely, compliance. Industry and legislative regulations are constantly changing, with many of enacting stricter rules on how businesses manage data. Take GDPR, for example. If an individual exercises their right to be forgotten, a business must comply by deleting all of that customer’s personal information within a limited time frame. Organized, accessible data makes compliance with requests easier, which can prove significant when facing the possibility of millions of dollars in fines. Again, this use case is unrelated to digital transformation. But modern data storage for compliance is arguably more important to the long-term vitality of your business than it is for any digital transformation initiative, and thus worth mentioning. How does changing the way I manage data get me closer to digital transformation? A data lifecycle management strategy gives you a firmer understanding over what information your business owns and where it’s stored, thereby making it easier to extract insights, a key to digital transformation. Data restoration and migration ensures you have complete control over all your data. Following the completion of a data lifecycle management strategy, most organizations discover that some combination of the below storage options, rather than a single solution, work best. Let’s take our earlier example of an e-commerce retailer attempting to refine their personalization efforts. They might find that active data—the immediate data fueling current business objectives like their personalization efforts—belongs onsite as well as backed up to the cloud for assurance against disaster or ransomware, whereas legacy data—the type of data needed (most likely) only in the event of an audit or litigation—is fine parked in cheaper, offline tape storage. Then, two years from now, they might find they’ve outgrown onsite data storage capacity and rather than continue to build out infrastructure, they move to a colocation facility. We’ll examine the various storage options in greater detail below. Pros: Onsite storage is far and away the most convenient storage option. There’s no third-party involvement. There’s no need for offsite data transfers. There’s no risk of someone else’s downtime affecting your business. In short, you’re master of your own domain. Cons: That said, data is growing. Thanks in large part to dramatic increase in device usage and the Internet of Things (IoT), data creation is predicted to swell to total of 163 zettabytes (ZB) in 2025, with the amount of the global data sphere subject to data analysis subjected to increase by a factor of 50 to 5.2 ZB. And while more data presents greater opportunities to extract insight and achieve digital maturity, doing so while storing onsite is only possible with significant investment, largely by way of building out infrastructure and hiring additional staff—more possible for some organizations than others. Ask yourself: Do the benefits of complete ownership of data outweigh the costs of perpetual staff and infrastructure buildouts? The pros and cons of the data center usage when it comes to digital transformation are more or less the inverse of keeping your data onsite. Cons: You will need to use a third-party. You will have to transfer your data. There is a risk (albeit a small one) of someone else’s downtime affecting your business. 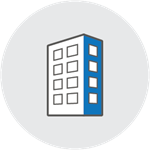 Pros: Conversely, shared data centers provide an attractive opex model, the ability to quickly scale up and down, access to the provider’s space and power and staffing for 24-hour security and support. 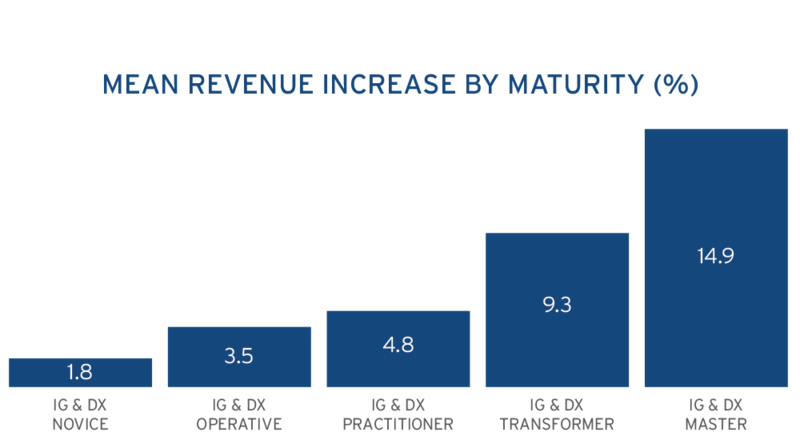 What that all equates to is lower total costs of ownership when compared to private data center buildouts and a freed-up IT staff that can focus on more dynamic, higher-value projects; a major boon for any digital transformation initiative. It is worth mentioning too that offsite data storage has other benefits, chiefly increased security and protection from disaster, which should be considered when deciding upon a preferred storage method. Take the biggest benefits of data center storage—flexibility, scalability and reliability—and amplify them. You have the cloud. There’s no maintenance and upkeep expenses. Telecommuting and on-demand access is ideal for today’s remote and on-the-go employees. Collaboration is easier. And for business leaders, moving away from a capital expenditure model to an operation expenditure one can be attractive. 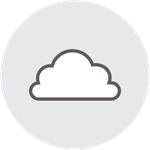 There’s also a considerable variance within the cloud that can make for an intriguing storage option. For example, it can be used as a backup for active data or it could be used similarly to tape, where legacy data is archived. Of course, cloud is not without its drawbacks. It’s long been dogged for its perceived vulnerabilities, and while considerably improvements have been made in recent years, it’s still more susceptible to a breach than, say, tape. Your organization must weigh sacrificing some degree of security against greater ease of access to data. That’s to not say all cloud solutions are equal. Many providers have built solutions that emphasize storage volume and scalability, while others were designed specifically for enterprise data management. The latter tends to prioritize security, and if you’re looking for a cloud storage solution specifically to optimize data storage so as to aid in your digital transformation efforts, it’s probably a good idea to opt for it. When it comes to legacy data storage, it doesn’t make much sense to opt for a solution that promises 24/7 connectivity and on-demand access to data, as you’ll ultimately be paying for features you don’t need. Stripped down of the extra bells and whistles of colocation and the cloud, comparatively older data storage methods are less costly to buy and maintain and offer lower energy consumption and total cost of ownership than any of the above storage options. Rapid recovery. Finding a particular file with a disk system is faster than with a tape data backup system. High-level security. One undeniable virtue of disk-based data backup solutions: A data center is hard to misplace. You need not worry about secure data transportation, because the data's not travelling anywhere. Efficiencies from deduplication. This process removes duplicate copies of saved data to free up space. 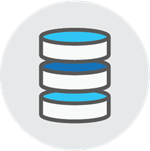 Deduplication means you can store data more quickly and perform full backups less often. High-capacity storage. LTO (linear tape-open) is the leading tape backup format. Its latest iteration, LTO-6, can store up to 12.8TB of data on a single tape. Not bad for an aging technology. Low cost. Tape media costs are low—in fact, tape is the least expensive option for enterprise storage needs. Tape's cost per gigabyte is less than $0.01. Low energy. Once an enterprise stores its data for the long term on tape, it no longer requires electricity. Disk systems, on the other hand, are always on and require constant cooling. How do my storage choices affect digital transformation? Many digital transformation efforts depend upon the insights you extract from your data. Strategic storage makes access and analysis easier. Modern data storage methods make your organization faster and more agile—the whole purpose of digital transformation in the first place. Completing steps one through four may put your office in a state of minor upheaval. That’s not necessarily bad thing. Consider it akin to spring cleaning—only with a far greater payoff. You’ve inventoried your entire backlog of paper records, digitizing, destroying and storing where necessary. You’ve automated key workflows. You’ve created a data lifecycle management strategy and stored your data in a way that’s not just cost-effective but ideal for any data-led initiatives you wish to pursue. And maybe in this process to get faster, leaner and more agile to better meet your organization’s goals, you’ve decided to upgrade your technology—new laptops, tablets, smartphones, etc. Or maybe, while going through those storage rooms, you came across boxes and boxes of unused and outdated IT equipment lying around. Either way, while you’re undertaking such massive changes, there’s no reason to let that old technology continue to pile up. Make sure you’re disposing—or remarketing, if your assets still have value—in a secure, compliant (there is most likely private information and intellectual property stored on old devices) and eco-friendly way, and let your digital transformation efforts transform your office too. 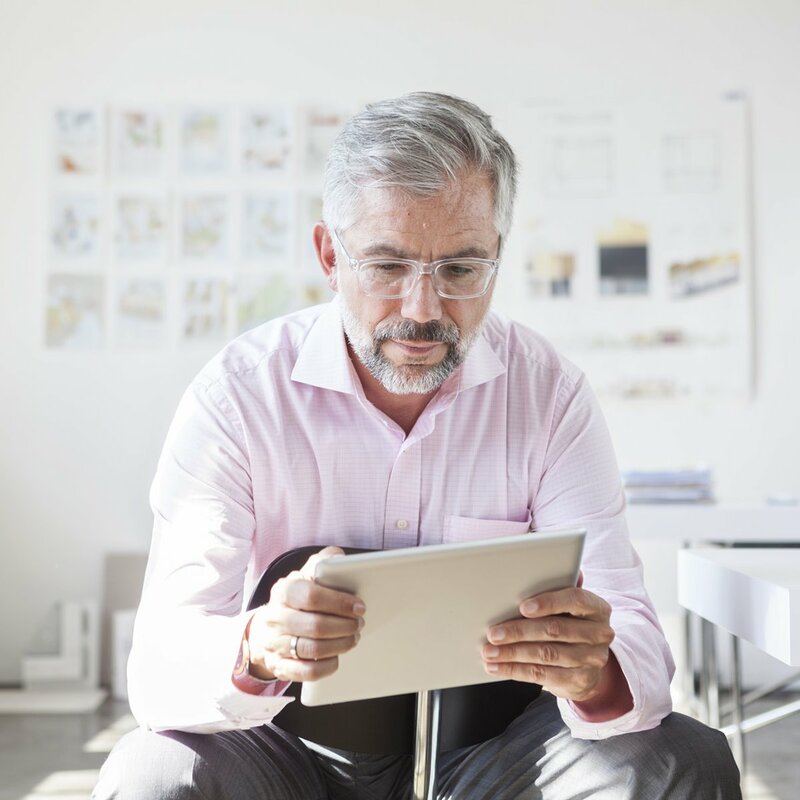 Are you ready to get started with digital transformation? Every organization in every public and private industry is affected by digital transformation. Research firm McKinsey & Co. says organizations must accelerate the digitization of business processes to meet changing customer expectations. In fact, it claims organizations must reinvent their business processes, including cutting the number of steps required, reducing the number of documents, developing automated decision making and dealing with regulatory and fraud issues9. Modern data and information management is the foundation from which all these digital transformation efforts are made possible. We hope this guide sets you on the right path for your digital transformation. And for more expert guidance, Iron Mountain is happy to help. 9 'Accelerating the digitization of business processes', McKinsey & Co.